DC Metro Moms Blog is a collaborative group of moms writing about their lives in Washington, D.C., where moms live and work in the shadow of the Capitol, Beltway driving is the adventure sport of choice, the Mall is flanked by national monuments instead of anchor stores, and bipartisan playdates easily gain constituency approval. DC Metro Moms Blog is a member of the Silicon Valley Moms Group. Other blogs in the group include Silicon Valley Moms Blog, New York City Moms Blog, Chicago Moms Blog, Los Angeles Moms Blog, 50-Something Moms Blog, Ohio Moms Blog, New Jersey Moms Blog, Deep South Moms Blog, Canada Moms Blog, Philadelphia Moms Blog and Rocky Mountain Moms Blog. Come meet the contributors of the DC Metro Moms Blog. Aimee Olivo is the mom of two beautiful boys, Lucas and Nathaniel, and the wife of an amazing and supportive husband, Abel. She's now a stay-at-home mom (who is rarely actually home!) and a community volunteer who tries to live by the principle that each one of us has the responsibility to help make our world a better place. Aimee believes in kindness and loves lists. And, if you invite her to your meeting, you can pretty much be assured that she will volunteer to do something! Aimee blogs about her busy but very fun life at Smiling Mama and about family-friendly activities in Prince George's County, MD at Out by Ten. Amie moved to DC in 1993 to save the world, leaving behind a challenging eight-week career as a Christmas hire for a large department store in St. Petersburg, Florida. Her political science degree from Tulane University was never intended to be used in the Nation's capital, but nearly fifteen years later and still working in politics, she's reluctantly ready to admit that it might have come in handy. Though if she's honest, she learned more about being a successful political consultant by slaving away for years at large reproductive health non-profit, the fact that helps to allay her guilt over now working to increase the political voice of corporate America. Nowadays, Amie is raising three boys (11, 5 and 3) with her husband in the same Northern Virginia suburb where he grew up. She maintains a sneaking suspicion that her in-laws are enjoying the fact that she is enduring the same little league politics that they survived oh so many years ago. When not at the ball field, she's trying not to kill the plants in her garden, hanging out on the corner jawing with her neighbors or off to the family beach house in Rehoboth Beach, DE. Amie started her personal blog in 2006 as a place to dump the random thoughts floating through her head. The unexpected side effect has been an introduction to a fascinating community and a much lighter, humorous perspective on life. Amy grew up in rural Pennsylvania exactly five miles from where her great-great-great-great-great-great grandfather lived after moving to the colonies from Germany. Thinking it was about to time to broaden the family's horizons, Amy convinced a Texan that moving to Washington, DC, was a great compromise and thus began her life as a Federal government wife keeping house in the DC 'burbs. Before becoming a mom, Amy survived a few years as a middle school English and drama teacher where she alternated between teaching angry youth the importance of paragraph structure and asking a basement classroom filled with 38 tweens to play charades...and receive a grade for doing so. Life at home with two unruly little ones has proven to be far more rewarding, and Amy has built a freelance writing turned social media marketing career in order to stay out of the classroom. This arrangement benefits not only her children but the many other unsuspecting children who would have had to suffer through her interpretation of Animal Farm. Amy launched her personal blog,Resourceful Mommy, in the summer of 2008, and began pro-blogging and marketing shortly after. Her blogger network, Global Influence, and weekly Twitter parties continue to take most of her non-parenting time while her writing remains her (often neglected) passion. Occasionally she finds time to clean and cook, though not often enough to mention, and sleep has moved on to the endangered species activity list as well. While the Texan may not agree, she still thinks it's all worth it and loves her life as a mom outside of the Beltway. Another transplant to the DC metro area from the Keystone state, Amy M. is a Reading Specialist who taught high school English in two of the area’s highest-performing counties. As much as she loved a heated discussion on The Taming of the Shrew or to teach the parts of speech, Amy—the naïve young thing she was--actually thought life would be easier as a stay-at-home mom. Three babies and four years later, she will quickly say that being at home with her children is NOT easier, and, though her children are what she is most proud of in her life, there are days when she tries to sneak into her husband’s briefcase and enjoy a quiet commute to anywhere. She’s just now emerging from the fog of non-stop dirty diapers, sleeplessness, and bottle-washing and feels pumped that she can finally (almost) carry on a coherent conversation with adults and leave the house with two matching earrings. A lover of backyard happy hours, good beer, and any chance to laugh with her three sisters, Amy is a testament to the fact that sometimes blind dates actually do work out and you can meet your prince charming-- even if the date is set up by your mother-in-law and he’s broken his leg on a soccer field the week before. You just better hope with all your might that the stars are aligned and that maybe, just maybe, you did a few things right in your life. Currently, Amy’s navigating her way through cyber-world on her site, teachmama, which chronicles the sneaky ways she tries to fit some kind of learning into her children’s daily lives. And in the short amount of time that she’s not busy tutoring other students, planning activities for her local MOMS’ group, or dragging her three kids to the area’s incredible monuments, museums, or zoo, she’s probably skipping off to her pilates class, pounding the pavement in her ‘hood, or daydreaming about getting flames painted onto the side of her mini-van. A Michigan native, Claire Jess moved to Northern Virginia after college to work at a feminist non-profit and returned in 2000 after getting master’s degrees in English and women’s studies. Having studied critical pedagogy, she tried to apply theory to practice while teaching high school English in Northern Virginia. Five years and too many pregnant students later, Claire was about to throw in the towel when she happily found herself in the family way and left the classroom in spring 2006 when her son, E, was born. In the evenings, she tutors kids whose parents have too much money and does copyediting work (when she takes the time to look for it). Claire hopes to return to a social justice field at some point but for now is focused on being a happy, natural-minded/green and yet decidedly suburban mama, sometimes-conflicting identities she explores in her blog Crunchy-Chewy Mama. She also blogs about her evolving relationship to mothering (a boy!) at Mama’s Mouth. Her blog Inexact Science: Raising Healthy Families is her public way-TMI: either a soapbox proselytizing about alternative medicine and nutrition or an enlightening account of Claire’s holistic health journey, depending on which side of Whole Foods you stand on. Born and raised in Connecticut, Dawn went off to school in western New York, only to be lured to Prince George's County, Maryland, after graduation by her then-fiance who had transferred to UMD. Twelve years later, Dawn, now-hubby and three whackjob kids still call PG County their home, appreciating the small town environment in their immediate community and the short metro ride to DC. (And yes, we DO call it PG!) When she was still a respectable income-earner, Dawn spent her days with preschoolers as a lab school teacher, but when her child care costs outweighed her income level, she made the jump to SAHM-dom. Most days are a mixture of preschool-at-home, 1950's housewifely duties, and pure craziness. Dawn lives a vicarious life online, blogging for a small, yet for some reason loyal, audience at my thoughts exactly, where she blathers on about nothing much, but with a ridiculously high word count. When she's not blogging or tackling screaming children, she's got her nose buried in a book, even if it means faking a stomachache to read in the bathroom in peace for 15 minutes. (Ahem.) She is thrilled to share her love of books as a staff reviewer on the collaborative book review blog, 5 Minutes for Books. Joining the DC Metro Moms is like going to a party where everyone else is infinitely cooler than you, but you're glad just to be invited. Despite evidence to the contrary, Diana Funk was not raised by wolves, though you are forgiven for making that assumption. When she's not eating her young, she's busy keeping them alive raising them in Northern Virginia. By "them," she means "her," since she only has one child at the moment (an exuberant 23-month- old daughter), but she’s hoping to be knocked up in a family way again soon. In fact, this whole parenting thing is still a bit of an unexpected thrill for her, since Madeleine (aka Lulu) was a test tube baby and Diana wasn't ever sure she would actually get pregnant (infertility journey – thrills! excitement! hormones! – chronicled here). Diana was born in Brooklyn, NY, but grew up in New Orleans, y’all, and northwestern New Jersey, you guys. She headed for the Mid-Atlantic to attend University of Maryland at College Park, where she earned both a BA degree (English) and an MRS degree (she met her husband as an undergrad). She and Joe have been married almost 12 years, but were married twice: ever the romantics, they eloped on their lunch hour to secure dental insurance for Joe. 16 months and a root canal later, they had a more formal affair. A former human resources manager, Diana traded the pleasures of disciplining employees for disciplining her toddler full-time, and has come to realize that people tend to make the same discipline-worthy mistakes at age 2 that they make at age 25. When she’s not chasing her kid around, Diana tries to manage the pet sitting business she’s owned for six years, her blog about life with Lulu, and all manner of daily chaos that surrounds her. Devra currently resides in Northern Virginia and is an author of the under-the-radar-cult-hit book "Mommy Guilt: Learn To Worry Less, Focus on What Matters Most and Raise Happier Kids" and Spanish edition "Mama Culpable." Devra and her family moved to The DC 3 years ago from the South of Illinois. Prior to that, she lived in Kansas, Louisiana, California, Arizona, Connecticut, and New York. It would be easy to assume Devra is a Suburban Bedouin, however Devra roams the country due to her husband's job working for the Military Industrial Complex. (AKA the United States Air Force). Devra is the mother of Son One and Son Two. Son One is a 6th grade Tween and Son Two is a second grader who seriously wishes he were older than Son One. When Devra's OB announced, "Congratulations, it's a Non-Immunity to Rubella!" Devra put her clinical social work career in the freezer. When she was able to get a booster shot, alongside her first son, she put her career on defrost and returned to helping families once again. Devra has worn many professional hats from School Social Worker to Director of Volunteer Services for a hospice. Devra is co-founder of Parentopia, LLC along with certified parent education and child development specialist Aviva Pflock. Devra and Aviva travel the country speaking at conferences and fundraisers as well as conducting workshops and seminars for audiences of all kinds. Aviva and Devra have a mission to absolve guilt...One mom(or dad!) at a time! Parenthood may not always be fun, but it should at least be enjoyable! Devra's commentary appears in The New York Times, Boston Globe, Arizona Republic, Parents Magazine, Woman's World Magazine, BabyTalk, American Baby, Fit Pregnancy, Cookie Magazine, The Globe and Mail and many others. Devra has been a guest on NBC, Fox and CBS television stations. In all her spare time, Devra can often be found at Wegmans wandering the aisles looking for Sarah and blogging with Aviva over at Parentopia. Dumb Mom is the mom behind the popular humor and parenting blog parenting BY dummies. Outsmarted by her children daily as she attempts to navigate motherhood, childhood, and everything in between she enjoys sharing her stories of failure and success with you in a humorous, heartfelt, and honest way. She may not be the sharpest tool in the shed, but she is definitely the best dressed (an advantage completely lost by being inside of a shed) as she prides herself on being a handbag role model for the masses. Dumb Mom is not your everyday mom blogger. She doesn't craft (not well anyway). She doesn't share many healthful dinner alternatives (because she likes bacon, and bacon flavored products). And, child centered activities are not her forte (although she has come up with some interesting child centered activities designed to keep kids busy while she partakes in adult centered activities). But, she loves her Dudes like nobody's business and is making a real go of being a good, okay, a decent mom, despite not being able to match wits with a toddler. Amanda Rodriguez, the mom behind the dummy, is a former middle school language arts and social studies teacher, turned stay-at-home-mom, turned graduate student, turned professional photographer, freelance writer, problogger and general director of awesomeness. She reluctantly resides in Maryland with her husband and three small Dudes where she laments leaving the California sunshine on a daily basis. In 1997, Elaine — a native Kansan— clicked her ruby slippers together three times, but rather than heading back home, she landed in DC where she put her public policy degree to work. She didn't know at the time she'd eventually own a home in the suburbs, be married to a government employee, and have two incredible children. But then, she’s heard that from a lot of moms at the playgrounds around Arlington. Besides reveling in the chance to see the world through the eyes of her children, she also maintains a part-time job at a very family-friendly nonprofit. Her mom, still back in Kansas, off-handedly commented one day about how nice her neighbor’s granddaughter’s blog was for purposes of keeping in touch, and thus her own blog came to life. That— and it was a hobby she could maintain in those precious few hours between her children’s bedtime and hers. Prior to being a mom, she was an avid potter and chocolate maker. She hopes to return to both of these hobbies once her children age a bit. Elena spent the better part of two years writing about her profession to achieve National Board of Professional Teaching Standards (NBPTS) certification. Throughout that time, it became clear that she needed to share her personal story as well. Elena began writing A Day in the Life in September 2009 to reflect on what it really means to be a cancer survivor, have a child, go through a divorce, fight the running/non running roller coaster, and find herself in love and getting remarried. Writing about the journey, or the chaos depending on the day, morphed into a constant look out for the funny, sarcastic, sometimes even sad moments that each day brings. 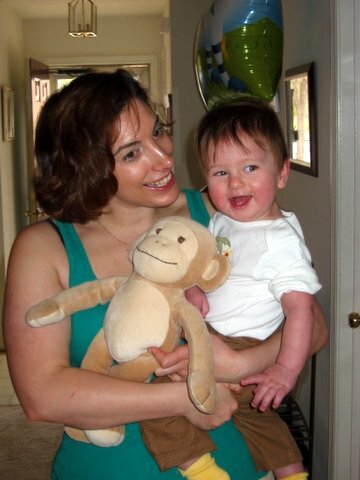 Elena became a publishing mom for Fairfax Macaroni Kid in March of 2010, where in addition to writing about the joys of day to day life on A Day in the Life, she adds her spin on activities, resources, and ideas for local parents. When not teaching, parenting, writing, running, or attending Zumba classes, Elena tries to keep things brief on twitter as caramma or MacKidFairfaxVA. Evonne grew up in Connecticut just outside of "The City" but has called Arlington, Va., home since 1998. Although the traffic here makes her bonkers, she can't imagine living anywhere else -- international cuisine; free, world-class museums; miles of bike trails; and a morning commute past the Memorials can't be beat. By day, she's a web project manager for a non-partisan health policy foundation, but her true love is writing and expects to get her masters in creative nonfiction from Johns Hopkins in the Fall of 2010. When she's not hanging out with her husband and her little girl (2 1/2), she likes nothing better than to settle down on the couch with a glass of red wine or coffee (depending on the time of day) and read the Sunday New York Times or Lucky magazine (depending on how intellectual she's feeling). Yoga is her sport of choice. She's an unequivocal INFP (Introverted, Intuitive, Feeling, Perceptive; "Still Waters Run Deep"). Evonne writes about navigating the fine line between self, mother, and wife at Arlington Mama and tweets from @jumpinjavagrrl. Gayle is a native Washingtonian who grew up, and still lives, within DC limits, a fact she will proudly tell anyone who will listen. She took a detour through Providence, Manhattan, Boston and San Francisco in her 20s, but is happy to be back in the nation's capital. She has twin 3 year-old daughters who keep her busy and tired but always entertained. Passions include reality TV (though that one is thankfully waning), Bottle Caps candy, the NYT crossword on the rare days she can get to it, The Police, her dog, and reading. She blogs about modern fiction at Every Day I Write The Book. Gayle spent 6 long years practicing law but has since left for greener pastures. These days, she works at a strategic communications company where she specializes in social media outreach, which means she gets to talk to a lot of bloggers. She's not particularly interested in politics, so don't ask her who's going to get the nomination. Janelle Marshall is now officially a WestMidEast Coaster. She’s had the privilege of living on the West Coast, Midwest and now the East Coast. As a recent transplant from Chicago, she and her family are now living in Richmond, VA. After living in Chicago for almost ten years, Janelle and her husband left the bustling city life of Chicago to be closer to family and get more support raising their 2 ½ year old daughter. Being a mom is one of the greatest joys of her life and blogging has become a way to make sense of motherhood. She also loves to write and has a master’s degree in journalism. When she’s not writing she’s teaching undergraduate online classes. Now that life is a little more laidback, she’s investing her time in family and hoping to add to her brood soon. With a background in nonprofit program management, she misses working full-time, but is blown away that she gets to work from home and raise her daughter. There are some major differences between Chicago and Richmond (people are SO polite), but she’s done this before and she’s excited to see what Virginia has to offer. You can also find her blogging on her personal site Mama Daisy. Jean, a.k.a. Stimey moved to Maryland in the fall of 2003. Prepared to hate DC life, she was pleasantly surprised to find her home and community here. She is now firmly ensconced in the DC-area mom life. She is the mom of Sam, born in 2001; Jack, born in 2003; and Quinn, born in 2005. All three of her kids were born in different states: Sam in California, Jack in Alaska, and Quinn in Maryland. Jean will be forced to live in Maryland for the rest of her child-bearing years so she doesn't have to have any more kids. Jean spends most of her time playing with her kids and her friends, writing, working part-time from home, and starting a videography business. Jean's main blog is Stimeyland, where she writes about all of the above, including parenting an autistic child. In addition to Stimeyland, Jean writes about decluttering at The Junk Pyramid and reviews products at Things and Stuff Reviews. Once upon a time, Jenni was living the not-so-glamorous life of a non-profit fundraiser in D.C. Upon graduating from the University of Maryland in College Park with degrees in both Women's Studies and Journalism, she decided she could never be a "real" journalist and "work for the man," so a career saving the world one dollar at a time seemed just the thing. After several years of bouncing around women's organizations and direct service providers in the District working way to hard for way to little compensation she finally took a "big job," got married to her high school sweetheart, and bought a house in the suburbs. Jenni's next completely unoriginal move was to get pregnant and have her fist baby, Oscar, in July 2007. She opted to stay on maternity leave indefinitely (take that, Women's Studies! ), beginning her career as a stay-at-home mom. Her second son, Miles William, was born exactly 18 months and two days after Oscar's birth. Jenni enjoys good beer, mediocre wine, books of all kinds, and excellent conversation. She also maintains that she is funnier in person and has never lost an argument. She blogs about barely containing the chaos that is raising two boys so close in age at Oscarelli, where you will often find her complaining about her lack of sleep, unsuccessful potty training, and her husband's inability to put his socks in the hamper. Which is exactly THREE FEET AWAY from the spot he dropped them on the floor. Jessica is a California native that came to DC in 1998 as a straight-laced Senate staffer by day, Adams Morgan bar crawler by night. She transitioned to life as a public relations executive and newlywed Home Depot frequenter at the turn of the century. Her current and favorite persona is that of the minivan driving, bass-booming housewife and mom to a five year old son and three year old daughter. Jessica writes A Parent in Silver Spring, a blog that makes the rich resources available for parents and kids in the DC area more apparent, served with a side of humor. She is a freelance writer, featured in The Washington Post Weekend, as well as a freelance communications & social media consultant. Jessica is surprised everyday by how much she rejoices in being a mother, how crazy being a mom is making her and how she can fluctuate between the two feelings in the span of a second. She loves snuggling with her kids, her hot IT husband, hanging out with any of her four siblings, 12 siblings-in-law and 18 nieces and nephews, American literature, Smithsonian institutions, early morning runs, late night schemes, overpriced jeans, Real Simple, California bands and Outer Banks vacations. Much to Jodifur's dismay and her neighbors' delight, she always has a box of wine on tap in her kitchen. Jill Berry is a writer/blogger/twitterer/Facebooker/social networker by day and a chauffeur by night. She works up to the second before her children get off their respective school buses. The quiet of her dining room is shattered by the clatter of shoes, the clunk of backpacks, and the wailing of children who are tired and cranky from the school day. The calm of her writing day becomes the eye of the storm as she drives from one activity to the next. She is a keen planner who has figured out how to get three children to two different activities with only the bare minimum of tantrums. Jill may not always be on time, but by golly she gets her children to their myriad of activities: volleyball, karate, swimming, clarinet, lacrosse, and religious education classes. Jill is coming off a stress-free SAHM stint with her youngest, now a 1st grader. The reality of future college tuition has drawn her back to the workforce. Prior to her SAHM-ness she was a senior production editor in charge of books, manuals, and journals for a health care publisher. As a mom of preteens and teens, Jill is all too aware of the dangers lurking on the internet. She is proud to say that she is a Test Drive Mom for Yoursphere: an online site for preteens and teens that puts safety first. When not dealing with kids (boy, 7), preteens (girl, 11), and teens (girl, 14), she blogs about kids, preteens, and teens at Musings from Me. She writes about raising kids in D.C. at Savvy Source D.C., Oyster Locals Blog, and the DC Ladies. 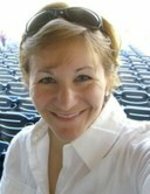 She writes about preteens at TypeAMom and Baltimore Parenting Tweens Examiner. In her free(!?) 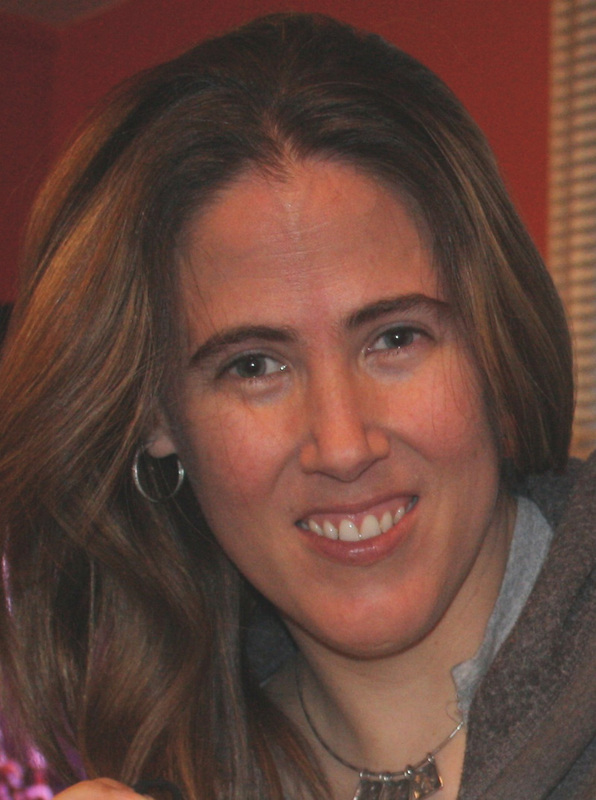 time, she moderates forums/groups at DC CityMommy, MomSpark, and Momster. J.J. aka JavaMom is a native of Miami, FL, but moved to Northern VA in 2002 from Silicon Valley – with pit stops in Missouri and Georgia in between. In her first career, as a television reporter and anchor, she especially loved crime stories, even eliciting a murder confession on camera. A move to California accidentally led to a career in Marketing Communications for high tech companies – which may or may not be much different from chasing down criminals, depending on your perspective! She is also the editor of the third and fourth editions of the book, Find It Online by Alan Schlein. No longer chasing criminals or Silicon Valley execs, J.J. now chases two small children, JavaGirl and JavaBoy during the day, and dashes off to meetings for the Junior League of Northern Virginia at night. She couldn’t accomplish any of it without the help of her saintly spouse, JavaDad. To keep her sanity J.J. blogs about life, family, technology and anything else that amuses her atCaffeine and a Prayer. Joanne has always been crazy about Washington, D.C., but finally got to move to the area in 1988. After spending a decade in the "glamorous" world of broadcast news, Joanne gave law school a spin, practicing law at firms and a government agency in D.C. It finally became apparent to Joanne that writing (not the legal kind!) was her real passion, so to ring in the new century she bagged her law practice and took up freelance writing full time. Joanne has a eight-year-old daughter who she and her husband adopted from China. She is also stepmom to two adult daughters. When she's not writing, blogging or mainlining Project Runway reruns, she's thinking about how she can get more stamps in her passport and how to convince her husband that it's time to drink those bottles of Ornellaia and Solaia he's been saving. Joanne lives with her daughter and husband in the Maryland suburbs of Washington, D.C., just close enough to be able to almost-honestly say she lives in Washington! Joanne's freelance work has appeared in many national and regional publications, including The Washington Post, Washingtonian Magazine, The Washington Examiner, as well as on The Huffington Post, MSN and Marketplace Radio. She's trying to compete with Sarah to see how many blogs she can write for. Joanne blogs and exercises her punditry muscles as PunditMom, her personal/political blog, as well as blogging at MomsRising, MOMocrats and is a Contributing Editor for Politics & News at BlogHer. Jodi is one of the few native Washingtonians actually living in Washington. Besides a short stint in Connecticut for college, she has lived in the DC area her whole life. She remembers the old "Giant" grocery store, and knows why DCers rush to the grocery store to buy bread, milk, toilet paper, and bottled water when they sense that first flake of snow. 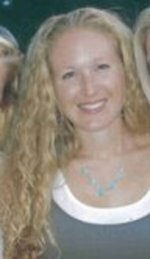 Jodi grew up in Montgomery County, Md, and went to law school in Downtown D.C. Jodi now lives in Montgomery County and works part-time as an attorney in child abuse. She lives with her husband, Doug, her preschool son, Michael, as well as a dog, Foster, who has many, many issues. She started Jodifur because her husband kept telling her she reads so many blogs so might as well write one. She also puts her expensive legal education to good use as the celebrity legal corespondent on mamapop.com, a pop culture blog. Justice Fergie is a full-time working mother of three spunky children, ages 5, 4, and 2 years. She blogs at Mamalaw with two co-bloggers about Work-Life Balance, Parenting, and Pop Culture. Her personal blog, Just Fergie showcases her love of food and social media. A rising social media personality, Justice Fergie has served as a national spokesblogger for the American Heart Association's Go Red for Women: BetterU campaign and has been featured as a Southern Living Mama Blogger of the Week. A lover of people, Justice Fergie is a connector and enjoys creating and shaping conversations. You can find her actively participating in online tastemaking networks such as: DC Metro Moms; Yahoo! Motherboard; Global Influence; Mom Bloggers Club; Mom Impact; The Motherhood; and Momz Share. She is 1/3 of the Mamalaw Media Group, a company devoted to celebrating diversity in social media. MMG is a trailblazer in the social media sphere, creating an online community for women of color bloggers. Their ventures include Blogalicious Weekend; The b-Link Marketing Network; and the My Blogalicious Editorial Community. Karen G. is a native Clevelander who has called the D.C. area home since sometime in the Reagan administration. She is a journalist married to a journalist - she met her husband on press row covering a basketball game. That was 17 years, several beat changes (from sports reporter to parenting writer to feature writer), two houses and one kid ago. She practiced juggling a busy career at The Washington Times while being a work-at-home mom, PTA president and super swim team volunteer. These days, Karen freelances, ghost writes, blogs and parents a teenager in Reston, where she would run for mayor if the town had such a thing. She is exploring the social media universe and no longer is insulted that her body of work may be relegated to 140 characters at a time. In fact, it is helping her write more concisely. Karen's main blog is Snarkshelf. Follow her on Twitter at KarenGoff. Kate grew up in Washington, DC, and clings to the idea that deep down she is still a "city person." But after several moves further and further into Northern Virginia, she is starting to admit that life in the burbs has its perks. There is something to be said for unlimited parking wherever you go and the lack of people asking you for money when you walk out your front door. This financially driven trajectory out of her hometown has included Arlington, McLean and now Reston. She expects to be in Leesburg by the end of 2012. Kate's family includes a son diagnosed with PDD-NOS (Autism spectrum) and boy/girl twins. All were born within 18 months. And no - none of it was planned. Her husband would like to get a dog to step up the level of chaos, but Kate would rather wait until everyone is potty trained and she's finished picking up human poop. Because of her oldest son's delays, she is putting her career on hold for a while to take a more active role in his early intervention. She will also be using this time to focus on her writing and figure out what she wants to be when she grows up...That is, if she does in fact survive the Summer. Kimberly Petro is a DC area native growing up in and around the beltway until the age of 18 when she moved to New York City to attend The American Musical and Dramatic Academy. After graduation, Kimberly was accepted to the National Conservatory of Dramatic Arts in DC but instead of further schooling she opted to run off to Vegas and elope. She's a little crazy like that. 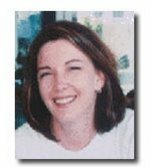 Her husband's career as a corporate executive allowed/forced Kimberly and her growing family to live around the country from Oklahoma to Georgia to the SF Bay Area giving birth to two beautiful girls along the way. Kimberly finally returned to her DC area roots when the family moved to Virginia in 2004. Shortly after, she found her passion for expression and forum for sarcasm by way of blogging and later, freelance writing. When she’s not typing away on her laptop, Kimberly enjoys being a Jazzercise instructor, loves to garden, throw parties and is currently trying to survive raising a teen and a tween daughter while keeping a smile on everyone’s face. Kimberly resides in Fauquier County, VA, a.k.a. “The Ding Dang Woods”, with her 2 daughters, 2 dogs, and 2 cats but only 1 husband. You can also find her on her personal blog Petroville and on Twitter @Kimberle. Kiran Ferrandino, aka Masala Chica ended up in Northern Virginia after fleeing New Jersey in the mid-90's to pursue her college education. While at the University of Virgina, she learned a lot about the world and despite never believing it possible, ended up settling down south of the Mason Dixon line. Kiran works for a Software Company in the ever exciting and demanding world of Project Management. (hey guys, guys! come back! we're not done yet. Thanks). Raised in an Indian household herself (hence the Masala), Kiran found her happily ever after with her husband, John, who is half Italian and half Puerto Rican (and that's where the Chica comes from). She lovingly calls her two children her quarter-riquenas. She will admittedly tell you that she drinks too much wine, loves going to Costco just a tad too much and has settled into her suburban life just a wee bit more comfortably than she expected when living her fabulous single life in Arlington in her 20's. She loves running, playing guitar, Bikram yoga, arguing with her husband, and writing. Her claim to fame (ok not fame, but it was cool) was that she used to be the lead singer for a DC cover band. While not yet a Soccer Mom, she has been a "Soccer Wife" for years now and is ready to accept the inevitable once her kiddies can kick a ball. 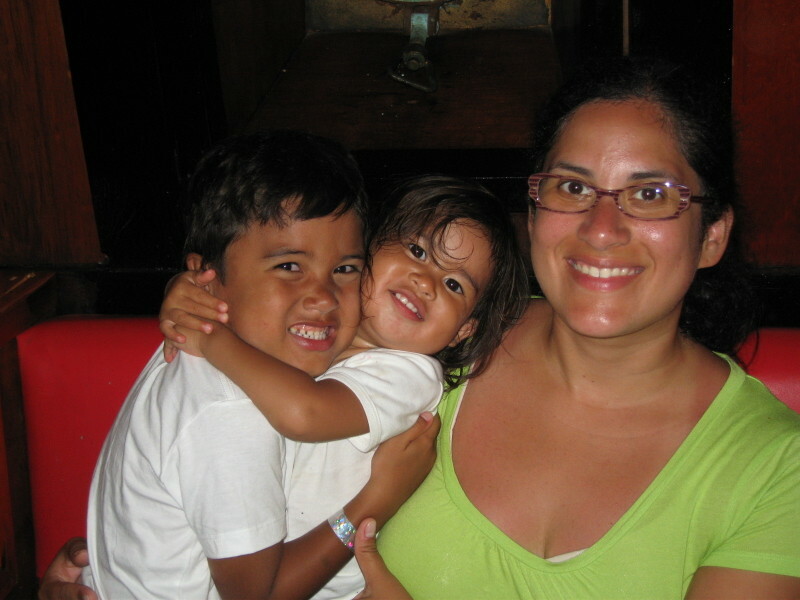 Leticia (aka Tech Savvy Mama) never had any inkling that she would end up in the DC Metro Area. She now finds herself loving everything about living here except Beltway traffic. Born and raised in Northern California's Silicon Valley, this Bay Area native spent 6 years as a New Englander and then moved to the DC Metro Area to be closer to her now-husband and teach for a local school system. Leticia is now the mom of two children and a technology magnet coordinator in a local school system. Leticia started her own blog, Tech Savvy Mama, where she uses her background in early childhood education and classroom technology integration to guide parents in selecting quality technology products for their children. She is also the City Editor for Being Savvy Washington DC, where she writes about fun activities for kids ages 2-6 with an educational twist. Lindsay moved to the DC area six months ago from the City of Brotherly Love (kicking and screaming) with her husband, 2 kids and their dog, Camille. She spends the majority of her time chasing after her two boys, who are 2 1/2 years and 10 months old. She began her blog Be Nice to Mama soon after she moved from her wonderful community in Philadelphia to the DC Metro area. Writing was cathartic and was a way for her to begin recreating her social support network and to reach out to other parents. 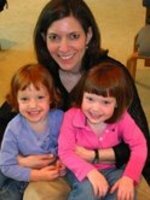 Now she uses Be Nice To Mama to bring humor and reflection into her daily life of raising two energetic little ones. When she leaves her "mama hat" at home, she works as a Registered Nurse providing home visits to premature babies, and is completing a Nurse Midwifery Program at the University of Pennsylvania. Very soon she will be delivering babies and will be whispering, "Be Nice to Mama" to each of them. Michelle, aka Wife and Mommy, moved to the DC area when she was two. Other than living a few hours away for four years of college and spending a year in Asia, she's lived in the NoVA area for 29 years. She and the love of her life, The Husband, have been married for seven years. They met and married at the same church they still attend today. They have three young children: Bito was born in 2003, Cupcake in 2005, and BabyMuffin in 2007. J-dog, the family lab, rounds out their family and home, although the kids have some crazy notion that they are getting a cat sometime soon. Life is never boring in their cozy, comfortable house! Before becoming a mom, Michelle was an educator, teaching middle school science. Now she works from home part time when she's not keeping house, shuttling the kids to their activities and participating in activities at her church. Being a stay home mom has been her most fulfilling career and she's glad to keep notes of it in her blog, Wife and Mommy. Michelle is a fan of the Orioles, the Redskins and anyone who is playing the Yankees. She loves a thick juicy steak, a draft beer, a bowl of ice-cream and a good book, but not necessarily all at the same time. Her lifelong goals include getting back to her pre-pregnancy body and finding memory some day. Nicole Crowley is a Washington native. She moved away to produce and report TV news. But DC kept calling to her, so she moved back to be a national radio producer. The first week she was back at work in DC, her girlfriends convinced her to go down to Dewey Beach with them for Labor Day Weekend. She reluctantly went, and met her husband. Turned out he was a DC native too and they remembered each other from high school. Nicole likes to concentrate on the good stuff, that’s the rule of her blog, BananaBlueberry. And check out her Home Resource Blog for everything about HouseHold Tips! Rebekah is a working mother with an over-developed sense of irreverence and a stubborn affection for the non-profit sector where she has made her career. She blames her parents who told her to go forth and do good in the world instead of telling her to be a glamorous socialite with scads of money and expensive shoes. Rebekah grew up in Rochester, NY where Wegman's forever spoiled her for other grocery stores. She arrived in the DC area in 1996, left in 2000, and returned in 2003, which by her math, means she's lived in either Northern VA, DC, or Montgomery County for 11 years and has spent far too much time in the different DMVs changing her automobile registration to stay current. She and her husband recently gave up their tiny, little, rented love nest on Capitol Hill in favor of buying cute house with a yard (a real yard!) and a playroom (a real playroom!) and a guest room (a real guest room!) but without a dishwasher in Montgomery County. Their marriage remains strong despite sharing dishwashing duty. Together, they are attempting to keep pace with their adorable, brilliant, funny, and extremely energetic two-year old son. When not working, parenting or blogging, Rebekah wanders around the music section in Target wondering who the people on the CD cases are and why they’re all so young. She blogs about her life at Mom-In-A-Million. Robin (also known as noteverstill) has four- and two-year-old daughters, an infant son, a lovely husband who works many more than full-time hours and a full-time career of her own in government in the suburbs of Washington, DC. She takes her three little loves with her to work where they spend their days in a childcare program tucked gently into the building where she spends her quietest eight hours. Robin loves this arrangement because she loves both her career and that she is always available to her children as needed for breastfeeding or boo-boo kissing or story time or extra-special lunch dates in the cafeteria. At the end of each day she packs up her work and packs up her children and they commute together back home and back to Daddy. She believes in wishing on first stars and dandelion puffs; that the glass really is half full; and that imagination can never be too nurtured. She has a station wagon filled with test subjects to prove it. Let’s just not discuss that in her world the half-full glass is often really a juice box, and that occasionally it gets squirted all over the rear-view mirror (and the back of her head). You can always read more about Robin’s parenting philosophies and her family’s antics and adventures at her personal blog, The Not-Ever-Still Life, or on Twitter @noteverstill. Sandie is a recent New York transplant to the DC 'burbs. She misses three of the five boroughs terribly (two not so much), and the thin-crust slabs of pizza and fresh bagels with lox sold on every street corner in New York City but nowhere else. But she loves her house (a yard! a white picket fence! for way under $2 million!) and the terrific public school system, and relishes still being a Metro-ride away from some of the best museums in the world. After more than eight years as a full-time journalist, Sandie's now at home, where she juggles multiple freelance deadlines, a six-year-old son, and three-year-old daughter (and hardly ever drops any of them). She also blogs about motherhood, marriage, and movies at Urban Mama. Whenever she's not chasing after or chauffering her preschooler and kindergartener around Montgomery County, Sandie writes movie and DVD reviews for Common Sense Media and entertainment feature articles for Daily Variety. Sarah lives in Northern Virginia with her husband and three year old boy/girl twins. She moved to the D.C. area after spending most of her life in Florida (Tampa, Orlando, and Ft. Lauderdale). She was a stay at home mom until she realized that people would actually pay her to write. 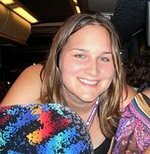 You can find her writing at Sarah and the Good Squad, BlogHer, Draft Day Suit and about 40 other blogs. In her spare time Sarah is a raging fan of the Tampa Bay Buccaneers, Bravo reality television and good food. Her hobbies include singing, drinking beer, potty training, blogging, writing bios about her self in third person and stealing jokes like the one about writing about her self in third person from Jason at Pet Cobra. Stacy Kravitz is an almost-native Washingtonian having lived in the DC-area since she was ten-years old. She grew up in rural horse-country Virginia, attended college in DC and settled as a singleton in the Maryland suburbs. Before meeting her darling sports-enthused husband she drifted along a career-less job path of nannying, librarian-work and the uber-unfulfilling executive assistantship. 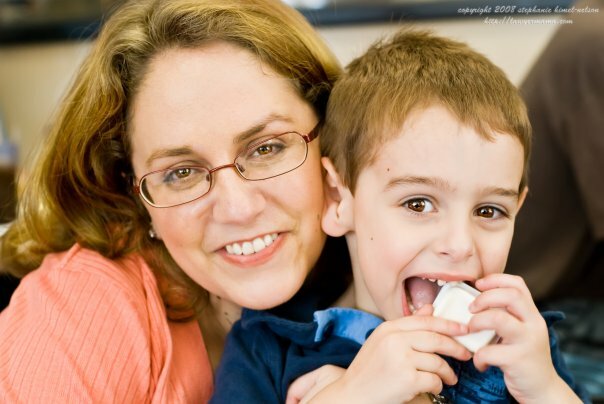 Stacy landed her dream job in December 2007 when her son was born. She now spends her days changing diapers, blowing raspberries on a cute bloated-poochy baby toddler belly and chasing after her little home-wrecker of a kid as he empties shelves and drawers at lightening speed. When the kid naps, she writes. Ergo, that explains the ebbs and flows of her productivity. In her "spare" time she often takes on home-owner projects like painting the kitchen and power-washing the deck. It has been said that she makes a great husband because she is the home repair person. When the gardening dirt and car grease have been scrubbed off her hands she can cook a mean and hearty meal usually opting for something grilled and something veggie, and peanut butter cream pie, of course. Her friends not-so-jokingly say that she lives in a zoo but four cats, a dog, a husband and a baby are not enough to knock her down. Stacy has been blogging about it since 2005 as The Fabulous Miss. S.
Stephanie, aka Lawyer Mama, ditched the full time lawyer gig in the Summer of 2008 to concentrate on turning Virginia into a Blue state. Along the way, she started two businesses: a legal services and writing group and a portrait photography business, LightHearted Photography. Stephanie is the New Media and Outreach Director for Blue Star Families, a non-profit group acting as a bridge between military family members, politicians and the civilian world. 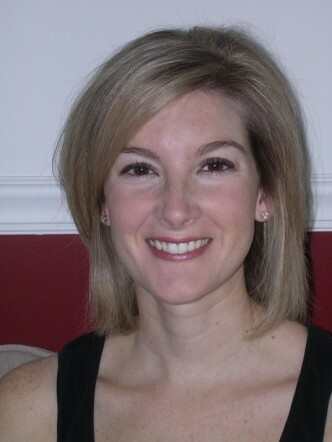 She is also the editor of Being Savvy Virginia Beach. Steph and her computer geek husband T. moved from DC to Chesapeake, Virginia in the Summer of 2005 in an attempt to get away from D.C. traffic and closer to the beach. Steph and T have two little boys born only 15 months apart in 2004 and 2006. Hollis and Holden are known collectively as H&H. And yes, they really are just as much trouble as twins. No matter how hectic life gets, Steph always wears cute shoes. And then she blogs about them. When she's not running around trying to remember her own name, Steph spends her time swimming, taking photographs, and reading. Oh, wait...that was before Steph had kids. Now she and her husband of 14 years just try to catch a few hours of sleep and maybe sneak in a date or two. She writes about her life, love, frustrations and joys at Lawyer Mama and her photography at LightHearted Photography: The Blog. Stephanie can also be found ranting about politics at MOMocrats, a collaborative site written by progressive mothers who are so damn smart, they intimidate Stephanie at times. Stephanie Stearns Dulli a.k.a. Minky, is an L.A. girl recently transplanted to the D.C. area, having followed Prince Charming to the District by way of Akron. Yes, Akron. She loves D.C. but is still trying to grasp the concept of winter footwear and layering clothes. So far, not so good. She is, however, grateful that no matter whether she is shielding her eyes from sun or snow, her big sunglasses are still at the ready. She is obsessed with her son Max, great handbags, and fighting time as it tries to march across her face. A real live professional actor, Stephanie made her living doing commercials, soaps, and theatre in Los Angeles and is slowly working her way into the D.C. scene. That is if she doesn't keep getting distracted by snuggling her baby and munching on his toes. He's delicious. Sue is a native of the DC area. She went to college in Ohio, but came back after graduating, followed by the boy who would become her husband. She lives inside the Beltway, just down the road from the University of Maryland, and can’t picture ever living outside the bounds of 495. In her former life, she was Metro-riding law librarian. Currently, she is a minivan driving, stay-at-home mom to four kids, two boys and two girls, who keep her on the road, on her toes and, more often than she would like, in the laundry room. In her free time, Sue enjoys watching the Discovery Health Channel, drinking margaritas and thinking up ways to stay in shape without actually exercising. She blogs about life and parenthood at My Party of 6 and is a contributor on MomSpark. Susan McCorkindale was born and raised in New Jersey. She loves Bruce Springsteen, the Jersey Shore, and the New York Giants. A graduate of Marymount Manhattan College, Susan spent five long, hard minutes pursuing an acting career before making a detour into marketing. She has held top spots at Family Circle and Popular Science magazines, and since 2005 has written advertising copy on a freelance basis from the comfort of her 500-acre beef cattle farm in Northern Virginia. 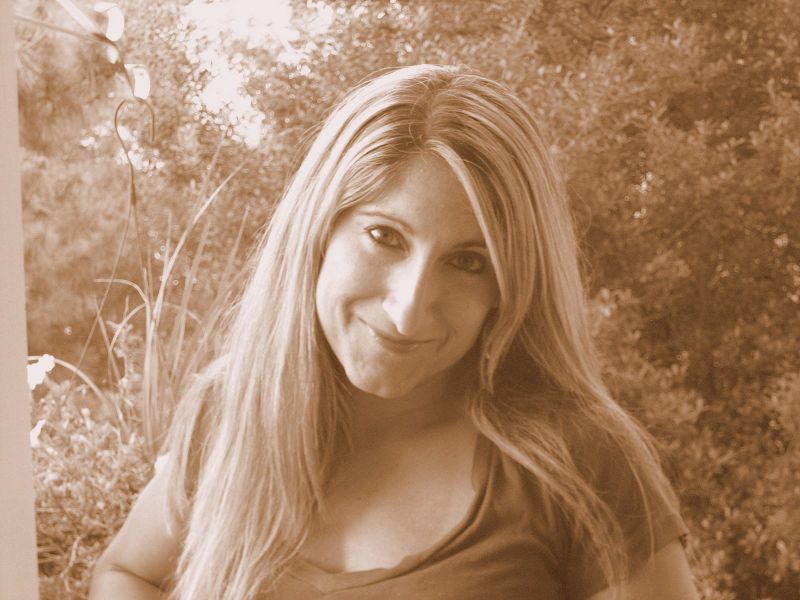 Susan is also the author of Confessions of a Counterfeit Farm Girl, her laugh out loud true tale of her move from the suburbs to the sticks, and how she learned the hard way that Manolos and manure just don't mix. The mother of two sons and wife of one very patient and understanding apprentice farmer, Susan spends her free time blogging about life on the funny farm, teaching P.E. and running the PTO at her son's elementary school, and reading everything Laurie Notaro, Jen Lancaster, Dave Barry, and Nora Ephron have ever written. While she has a Master's in Public Affairs from the University of Texas - LBJ School of Public Affairs (Hook'Em Horns! ), Suzie considers herself retired and she now stays home and wrangles the aforementioned kids. In her spare time she is active with the PTA, the local MOMS Club, teaches scrapbooking classes, watches as much college football as humanly possible, and attempts to avoid anything and everything related to cooking. Her blog, Confessions of a Not So Well Behaved Woman chronicles her adventures in parenting, life in the DC area, and life with a house full of kids. When Thien-Kim isn’t chasing her active preschooler, she has a blast working as a Passion Parties consultant, giving women tips and tools to take charge of their pleasure. She met her husband during college in good ole Louisiana, where she was born and raised. She came to DC by way of Syracuse, NY, where she honed her burgeoning skills as a costume designer and stitcher. Now a WAHM, she squeezes in creative moments from sewing and crafts to playing Iron Chef with her pantry. She also encourages art and creativity with her daughter, while attempting to blog about it at PassionandArt. Sarah (TravelMommy) recently moved back to the DC area from a short stint raising camels in the Middle East. She is constantly searching for that perfect falafel in Northern Virginia with her husband and special-needs 1-year old (affectionately called Potato). A former Director of Marketing for a mid-size opera company, she has since sold herself into a life of government service, where she works by day as a secretary and moonlights as an amateur musician and writer. Sarah is a contributing writer at Glee Club Online, a fansite for the world's most awesome TV show. You can also find her talking about trials and tribulations of life with a medically fragile child at her own blog, Traveling Marshalls. 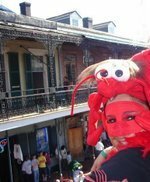 Follow her on Twitter @TravelMommy. Victoria a native Rhode Islander, came to the DC Metro area in 1996 as a college transfer. After a childhood of family vacations in the Capitol, dreams of becoming First Lady, and numerous ribbings of being a female Alex P. Keaton it seemed only natural to finally move there. After transferring to the University of Maryland, College Park, this true Yankee found her home and graduated with a degree in History. Many government, consulting and PR jobs, including a move to So Cal later, she is glad to be back in her element and the land of all things political and conspiracy filled. Hidden bunkers, lurking figures, dark shadows? SheÃ¢ÂÂs on it! Victoria is now happily free of corporate America and a WAHM and freelance writer as well as the creator of the blog, The Mummy Chronicles, Mummy's Product Reviews and a co-founder of Flaming Tulle, a wedding blog. Her experience and writing skills can be seen on such sites as Parent Bloggers Network, She Speaks and The Hot Mom's Club, just to name a few. When Vicky isn't writing she can be found running after her toddler T.D. (that stands for Tiny Dictator), baking herself into a Bree Van de Kamp frenzy, flipping houses with her incredibly sane former Marine husband H, or simply resisting the urge to smoke. That alone can take up a whole day. A self-proclaimed product junkie, a sometimes reformed shopaholic, and lover of British Chick-lit and Victorian feminist writing, Vicky hopes to one day put all this great knowledge to use and write her own novel. She'ÂÂs also a rabid Terps fan and lover of all things French country. She currently resides in the Northern Virginia suburbs and dreams of moving further into her favourite city in the world, Washington, DC. PARTNER - SILICON VALLEY MOMS GROUP & CO-FOUNDER: Jill Asher is the co-founder of Silicon Valley Moms Group. The idea came to Jill over two years ago (March 2006) to start Silicon Valley Moms Blog, after she finished her one year "Presidency" of PAMP. After inviting friend after friend to join this "crazy idea" that moms would want to write about parenting experiences in their regional area, Jill has watched Silicon Valley Moms Group blossom into over nine collaborative blogging communities. By far, her biggest challenge and greatest joy is motherhood. Jill and her husband are the proud parents of two elementary school aged daughters. Jill admits that she is NOT A PERFECT PARENT and fears her daughter's teenage years. Her girls can be heard running around the house screaming, "Mommy is blogging again!" and she needs to bribe from time to time them with treats. Is she allowed to admit that? On the bright side, Jill really digs living in Silicon Valley and tries her best to blend in, praying that no one will hear her "New Jersey accent". Unless, of course, she is royally upset. Jill handles PR, Marketing, Business Development and outreach for this collaborative community. PARTNER, SILICON VALLEY MOMS GROUP: Tekla S. Nee, a cofounder of the Silicon Valley Moms Group, serves as editor-in-chief and CFO for the network of blogs. She has been writing about parenting for more than 25 years for magazines like Parenting, BabyTalk, Working Woman, Special Reports: Family, and Better Health and Living. She blogged for five years before there was such a word, writing a weekly column about about her life with three kids for the Palo Alto Daily News. 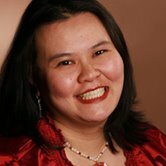 She's published three books, The Mommy Rescue Guide First Year; The Mommy Zone: Tales from the Trenches of Parenthood; and The Everything Baby's First Year Book (also published in Russian and Chinese). And that's just in her spare time, during the day, she masquerades as a mild-mannered technology journalist working for a major metropolitan magazine. 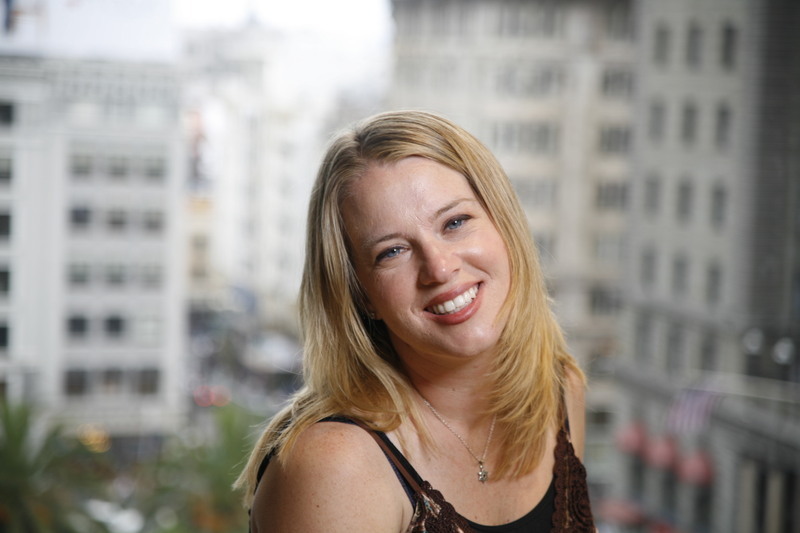 PARTNER - SILICON VALLEY MOMS GROUP: Linsey Krolik joined the management team of Silicon Valley Moms Group as a Partner in October 2009, after serving as the company's lawyer, book club editor, and a contributing writer for Silicon Valley Moms Blog since July 2007. 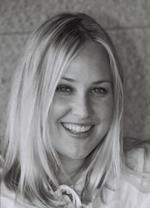 Linsey has been a technology, media, and business lawyer and entrepreneur in Silicon Valley for the past ten years. 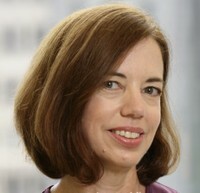 Before operating her solo law practice, which she started shortly after the birth of her twins in 2004, Linsey was Corporate Counsel for ARM, Inc., a United Kingdom-based intellectual property company and worked for a variety of tech companies in the Silicon Valley, including Palm, Inc, OmniSky Corporation, and 3Com Corporation. Linsey holds a combination JD/MBA degree from Santa Clara University School of Law with a concentration in High Technology Law and in Marketing and has been a member of the California State Bar Association since 2002. 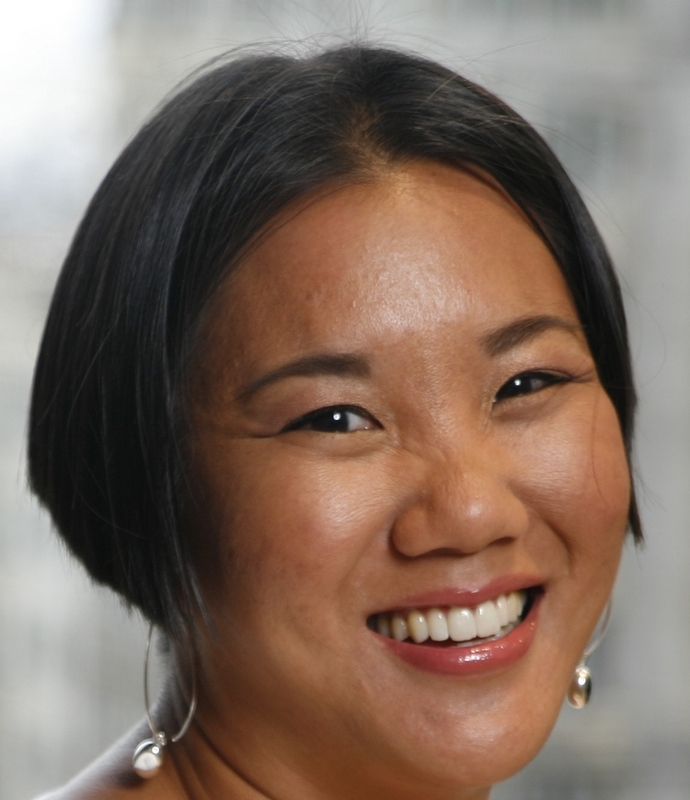 She is the co-author of the book "Virtual Incorporation: A Lawyer's Guide to Forming Virtual Corporations," which was published by the American Bar Association in 2009. She is a speaker and teacher, having spoken at BlogHer'08 and taught at Solo Practice University and Outside the Cube. Linsey is very active in her community, sitting on the board of several local organizations as President and in other Board of Director roles. She is a twin mom (plus one more makes three kids aged 6 and under), a twin herself, and a cancer survivor. In addition to writing at Silicon Valley Moms Blog, she writes at her personal blog, Me Too You, and at her twins club's blog Mad About Multiples. Linsey handles business development, advertising and legal issues for SV Moms Group.